extension, merchants have balance sales scale. There are two ways of installing extension in magento2. Follow below steps to install extension from the command line. Step 1: Download the extension and unzip it. code directory does not exists then create. Step 3: Disable the cache under System → Cache Management. displayed in the admin panel. directory does not exists then create. be displayed in the admin panel. 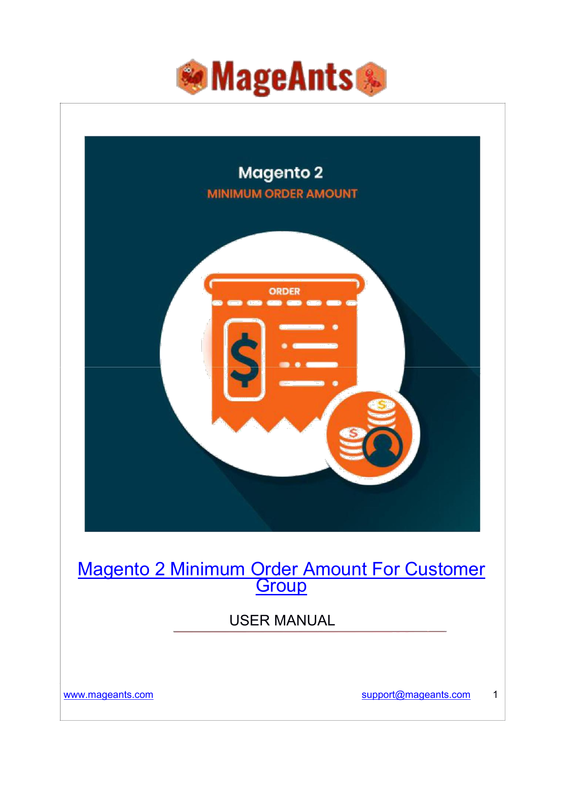 group and also set Minimum order Amount value for each customer Group. You can also enable or disable extension by selecting Enable Yes/No. minimum amount for customer group. customer can not proceed to checkout.